Located at the southernmost point of Manhattan, Battery Park, otherwise known as “The Battery” has followed New York’s history from its very beginnings. The earliest residents of Manhattan, the Native Americans, used the land for hunting and fishing. A trading path was paved from the Battery all the way up the spine of Manhattan, today the famous Broadway. 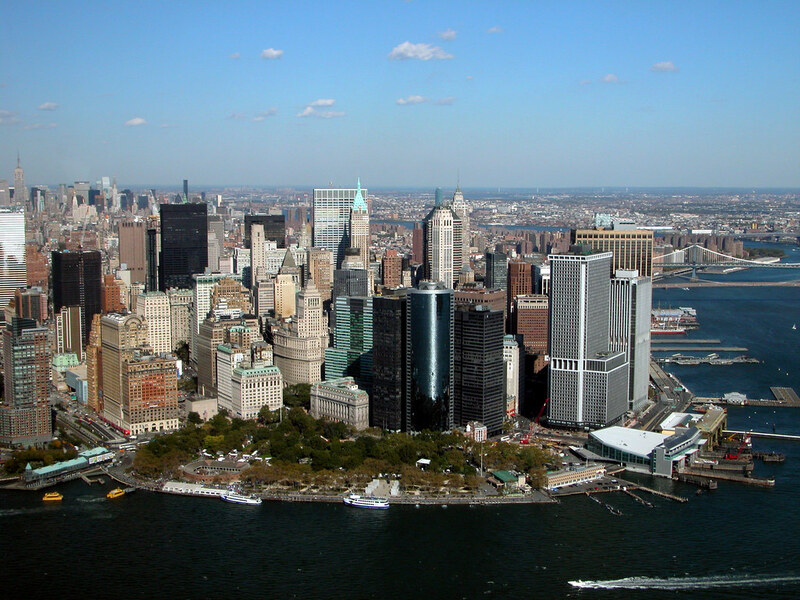 In 1524, Italian explorer Giovanni de Verrazzano spotted the edge of the Battery in his discovery of New York Harbor. 85 years later, Henry Hudson took some time to stop at the edge of Manhattan after his sailing of the soon-to-be-named Hudson River. His interactions and trading with the Native Americans inspired future commercial expeditions and settlement in NYC. Inspired by the word of Henry Hudson, Dutch settlers ventured forth, and in 1626 Fort Amsterdam was constructed on the shores of the Battery. 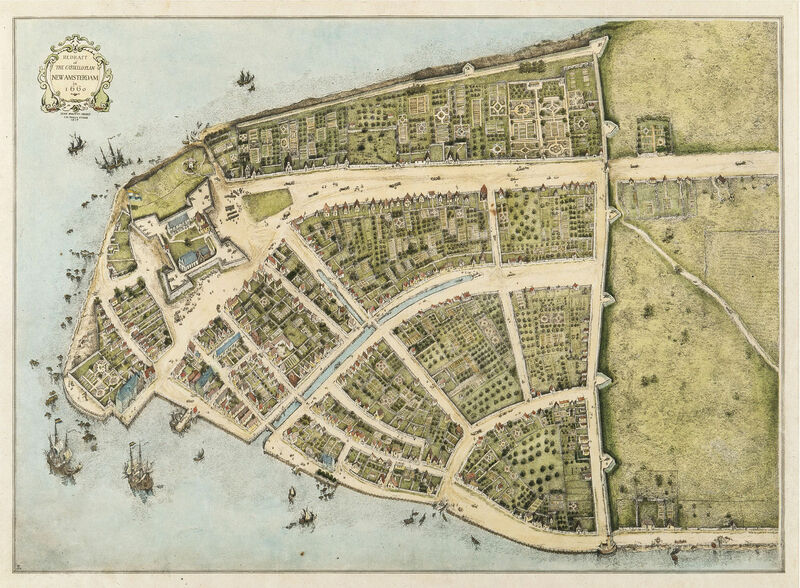 The park and surrounding area were named for the artillery batteries that were positioned to protect the settlement of New Amsterdam from any seaward attacks. Fort Amsterdam served for thirty-eight years as the administrative headquarters for the Dutch West India Company. Following the American Revolution, the Battery was occupied by the Continental Army under the leadership of future president General George Washington. It later became the center of Evacuation Day celebrations, commemorating the departure of the last British troops in the United States. Once the war ended, the Battery was then transformed into a beautiful, public promenade for walking and leisure. What we know today as Battery Park was not technically in existence until 1855. Beforehand, the land mass of Manhattan ended at what is now the northern edge of the park. But landfill expanded the area by over 25 acres, and connected the mainland to the nearby Castle Garden island. The open area was then surrounded by a 13 foot fence. Everything remained quite for awhile afterward. As the city expanded northward, the focus was on developing the newer parts of the city uptown. By 1986, a brand new master plan for Battery Park was created by architect Philip Winslow. Over the years it had become forgotten, decayed and damaged. Shortly afterward, the Battery Conservancy was founded in order to rebuild and renovate the park and the surrounding areas. The entire promenade was rebuilt, including a brand new seawall railing, featuring “The River that Flows Two Ways” with sculptural art panels designed by Wopo Holup. Since then, the park continues to grow and expand- creating educational and recreational opportunities for locals and visitors alike. In 2011, the conservancy founded The Battery Urban Farm in order to educate students about urban farming and how to eat healthy. Surrounding monuments in the park pay tribute to immigrants, explorers and fallen soldiers. Come check out Battery Park on our Statue of Liberty and Ellis Island tour!